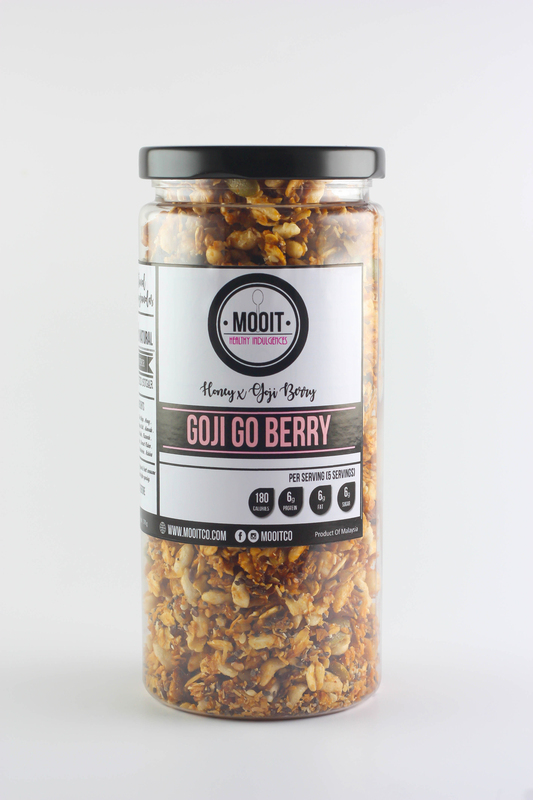 Goji Go Berry Granola – Mooit Co.
Fragrant rolled oats baked with rice crisps, crunchy almonds, cashews, chia seeds and sunflower seeds. Topped with cranberries, blackcurrants, goji berries and juicy raisins to bring you the nutrients you need! With a sprinkle of coconut flakes, its a superfood granola to keep you full and energized. 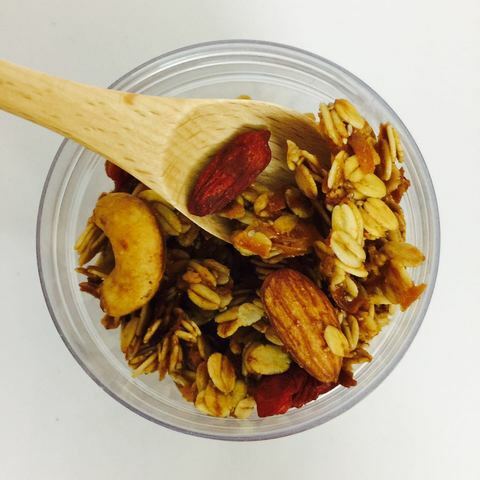 OrganicRolled Oats . Rice Crisps . Honey . Olive Oil . Organic Molasses . Himalayan Rock Salt . Vanilla Extract . Almonds . Walnuts . Chia Seeds . 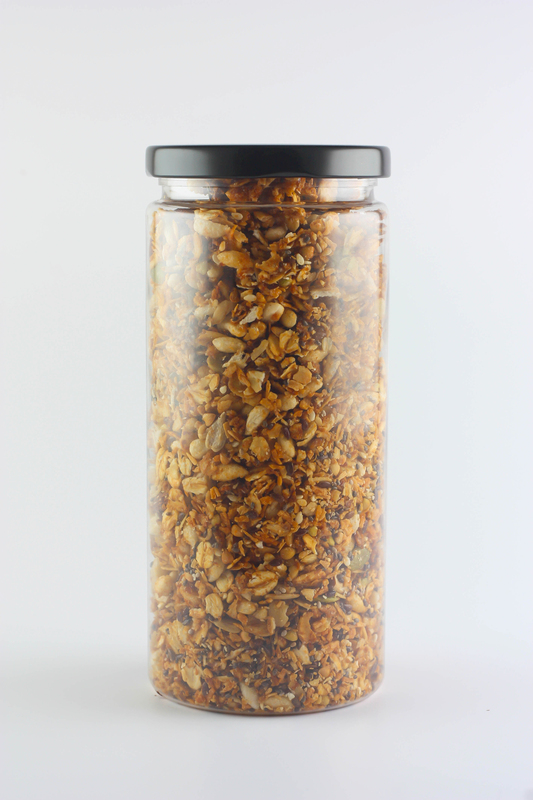 Sesame Seeds . 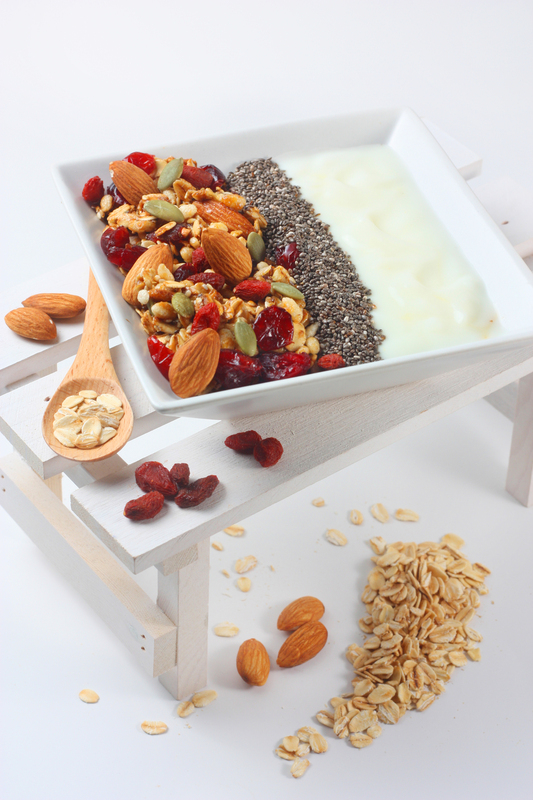 Flaxseeds . Sunflower Seeds . Coconut Flakes . 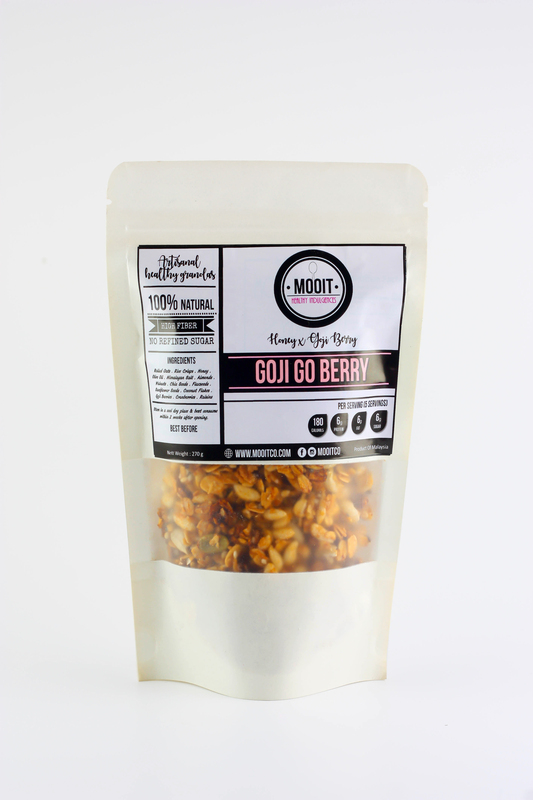 Goji Berries .Cranberries . Blackcurrants .